The French Creoles of South Louisiana are a rural people whose roots contain a blend of African, French, and other ancestries. During the era of legalized segregation, they developed close-knit communities and a vibrant musical culture. Then, starting in World War II, many Creoles started looking west in search of greater opportunity and freedom, and began a migration to Northern California. They brought with them the dance music that held them together as a community: zydeco. 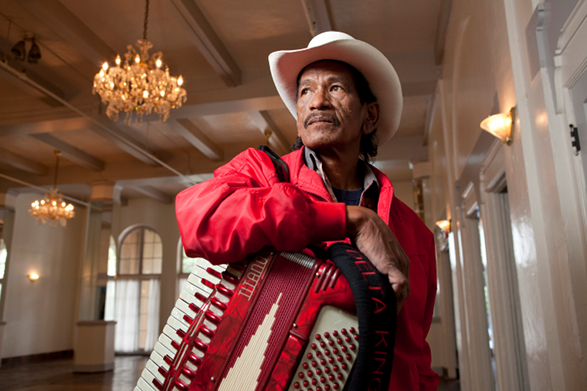 Zydeco Nation is a one-hour radio documentary that tells the story of that migration and looks at the zydeco culture that now thrives in the Bay Area. You can listen to the entire documentary here. No registration is required. Throughout this web site, you can watch a slideshow, see other photos, listen to interview excerpts, and learn more about zydeco culture in California. Click on the player below to hear the teaser that launched the documentary. The map below shows various points of interest for the Northern California zydeco community. Click on the icons to learn more about church dances, clubs, and festivals where you can experience zydeco today. View Zydeco Nation in a larger map to see points further afield.